Zach Galifianakis is a stand-up comedian, best known for his piano-playing and one-liners. He's also an actor, and was a regular on the series Tru Calling. Really. Most recently, he was seen in the Comedy Central series Dog Bites Man and The Comedians of Comedy. We talk with Zach about his short-lived but critically beloved VH1 talk show, "Late World with Zach," the curious arc of his career, and why he enjoy enacting a descent into madness on stage. In this week's Jordan Jesse GO!, we get exceptionally serious. Jesse and Jordan visit a bar in Iceland. Also: a discussion of nintendo and class tension. We speak with Brian Feldman, presidential candidate and Hollywood legend. We talk about gay uncles and hairplugs. We return to matters presidential, and speak with presidential candidate (and regular Cheers guest star) Harry Anderson. Our High Five Contest continues with some awesome entries. Blah blah blah. * Enter the HIGH FIVE CONTEST on FLICKR: special prize will be a copy of Project Gotham Racing for the person with the most people in a single five, or for the most X-box-related five. * Got questions for the candidates? Call the hotline and spill the beans! Special thanks this week to Neil Campbell and Paul Rust. This week, an interview with one of America's favorite icons, Dustin Diamond. Jesse, Gene and Jordan talk with Screech about how he chooses work, his band and the Milwaukee Metal Fest as Gene tries to derail "Choo Choo!". 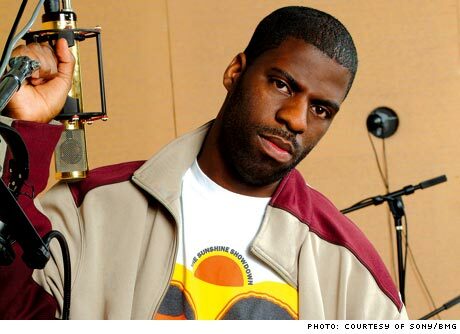 Before he'd even released his first album, Chicago rapper Rhymefest won a Grammy award for co-writing the Kanye West hit "Jesus Walks." He's also a veteran of the battle rap circuit, having bested Eminem at the famous Skribble Jam in 1997. His first LP, Blue Collar, was one of the most critically acclaimed hip-hop CDs of 2006. His upcoming release, "El Che," bears the name his grandfather gave him at birth. In our interview, 'Fest talks about being a revolutionary, what it means to be a grown man in an industry full of people clinging to adolescence, how battle rapping feels, and more. In our bonus audio (bottom), he talks about what it's like to tour with legends like A Tribe Called Quest and the Wu-Tang Clan. He also reveals an impressive production and guest lineup on his upcoming record, including Ghostface Killah and DJ Premier. In this week's Jordan Jesse GO!, we're joined by rock & roll superstar Andrew W.K. Jesse and Jordan celebrate the Fourth of July with fireworks. Also, we discuss a video game that Jordan beat, and the fact that Jesse has never beaten a video game. We are joined by our favorite rock star, Andrew WK. Jesse discusses the bizarre and astonishingly sincere rivalry between USC and UCLA, and a near-fight he witnessed at an ice cream sandwich store. Andrew W.K. discusses the fact that he manages his own MySpace, and why. Also -- what it's like to hear from someone buried deep in your past. Andrew got a message from the only girl he's ever been mean to. Andrew talks about visiting a songwriting retreat sponsored by the members of Hansen. Really! * Should Jordan buy a Nintendo DS or a Game Boy Micro? And should he play X-Box online? 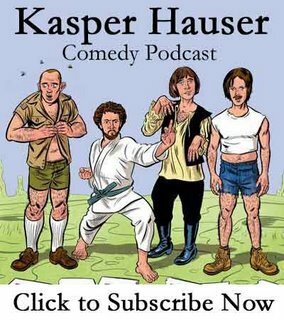 Podcast: Kasper Hauser Comedy Podcast: Ep. 10: Mundo de Perros! This week: We visit the set of the spanish-language television program Mundo de Perros. This week, two new love-themed episodes from years ago. First, the show is graced by a soulful deportation anthem as Jordan tries to start the "Choo Choo!" craze. On "Perhaps It's Love", Jesse tries his hand at radio acting with star Jimmy Rogers while Jordan and Gene have a tag-team date in which they fail to get the girl but succeed with Billy Dee Williams. 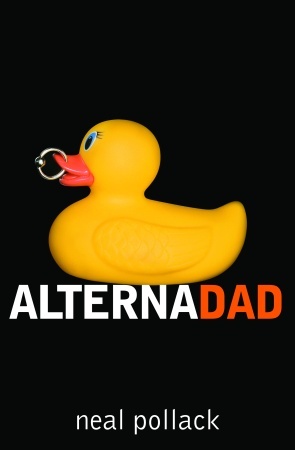 Neal Pollack is the author of "Alternadad," a hilarious and heartfelt memoir about becoming a father. Neal talks about his family's financial struggles, the joy of fatherhood, and why he started a punk rock band shortly after his son was born.